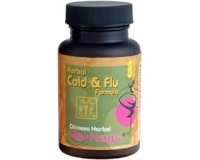 Heritage® Herbal Cold & Flu formula is based on a time-tested and safe Chinese formulation indicated for common cold with symptoms of fever, muscle aches, headache, sneezing, runny nose, nasal congestion, cough, sore throat or dry mouth. Radix Saposhinkoviae, Herba Schizonepetae, Herba Ephedrae, Fresh Ginger and is further reinforced with Chinese Thorowax Root, Kudzuvine Root, Baikal Skullcap Root, Honeysuckle Flower, Fructus Forsythiae, Apricot Seed, Liquorice Root. 2 capsules to be taken 3 times a day with warm water. 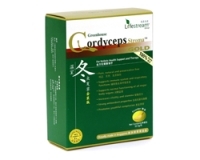 Chinese Herbal Heritage Herbal Cold & Flu Formula is manufactured in Singapore according to stringent cGMP protocols and, is registered and approved by Health Sciences Authority, Singapore.